Like most people who have weighed in on this book, I did find it fairly predictable, but still a decent read. I thought the comparison to Serial was misleading, because it was more of a knockoff, like a bad Rom-Com version of Serial, despite the heavy-sounding premise. 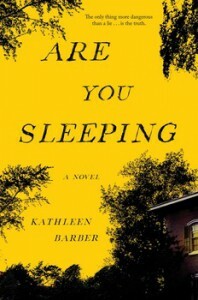 While she tested my patience with characters whose dialogue (and actions) often defied believability, Barber's skill in pacing and an interesting narrative form kept me turning the pages. I did enjoy the family drama — the romantic tangles not so much. Despite the sometimes-clunky characters, I did finish, so I will be interested to see what Barber thinks of next.